Normal to Dry, Sensitive and Mature skin types. 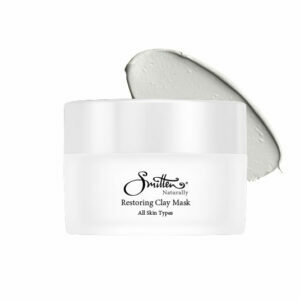 This soothing creamy cleanser will remove surface impurities, traces of makeup and enhance the skin’s ability to breathe. The balancing blend of ingredients will soothe, refresh and calm the skin leaving it revitalised and nourished. Directions: Using fingertips, gently massage all over face and neck in circular motions. Rinse well and repeat. Follow with Smitten Hydrating mist and Rejuvenate Moisturiser or Rejuvenate Serum.